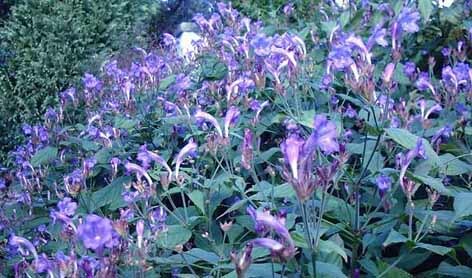 At a time when other flowers are fading fast, Strobilanthes penstemonoides var. 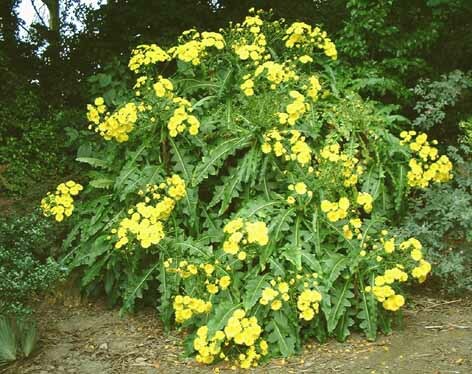 dalhousieana comes into its own in October and November. 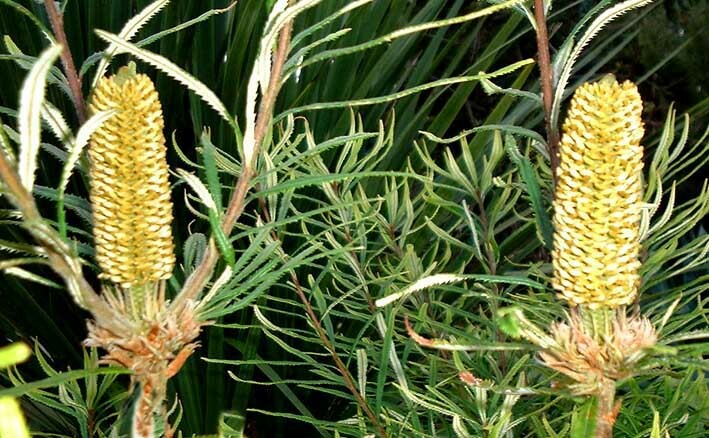 This is a plant of mountain forest in the Himalaya growing between 1350 and 3400 m. At Earlscliffe unripened shoot tips are killed back in the winter but the plant usually maintains a height at flowering of around 1.5 m. The plant illustrated is about 40 years old. 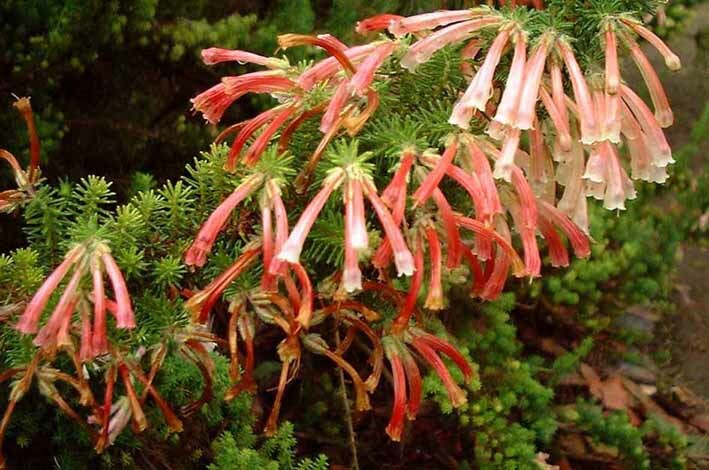 South African heather, Erica glandulosa, has large 3 cm long red, pink and white tubular flowers and is at its best at Earlscliffe between September and November. This is in contrast to most other South African heathers here, such as E.canaliculata and E.pageana, which flower best in spring. Erica glandulosa is longer lived at Earlscliffe than many other South African species and has not been damaged by winter temperatures since planted thirty years ago. 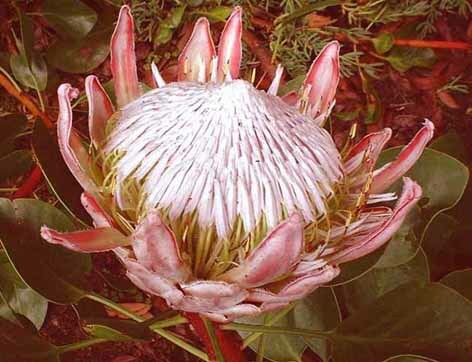 Protea cynaroides (King Protea), architecturally one of the most beautiful flowers in the world, flowering without protection or any special attention. 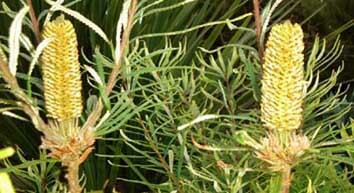 As well as being one of the most beautiful Protea species, it is also one of the most hardy. However, it is very susceptible to nitrates, phosphates and simazine. 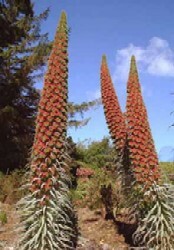 Does this plant flourish any further north than the Howth Peninsula (53.3°N) ? 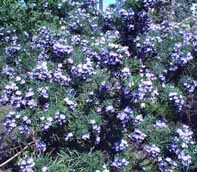 Psoralea pinnata (Blue pea) from South Africa. This beautiful small tree with softly pubescent white and violet flowers, provides a welcome cool colour in early July after the main flush of rhododendrons and azaleas is over. 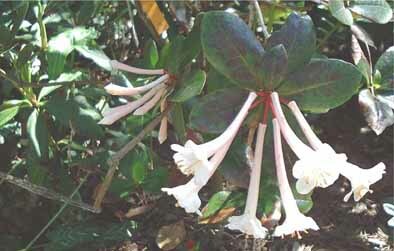 This web page was set up in May 2000, so there are no previous plants before this date.